My Goal as a Real Estate Agent in the Manlius, NY Area, is Simple - Helping You Achieve Yours! Graduated Realtor Instittute (GRI), 2004. Background & Education: Graduated in 1985 from Syracuse University, Susan has lived in Chicago, New York City & New Jersey before coming back home to Syracuse in 1994. A long time resident of Camillus, Susan is now living and working as a realtor in Manlius, NY. She grew up here and knows the area well. Give her a call and she will deliver the premier service you deserve. 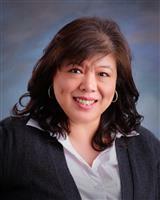 Contact Susan Li today and put her expertise as a real estate agent in Manlius, NY, to work for you! Your Realtor for the Manlius, NY Area! Call me today to view real estate listings in the Manlius, NY area.